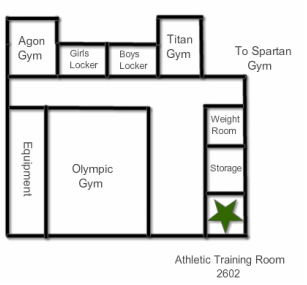 The athletic training room is located in room 2602, down the hall from the weight room and across from Olympic Gym. All visiting athletic trainers will have access to the ATR if needed. All indoor activities will have ice available from the athletic trainer.